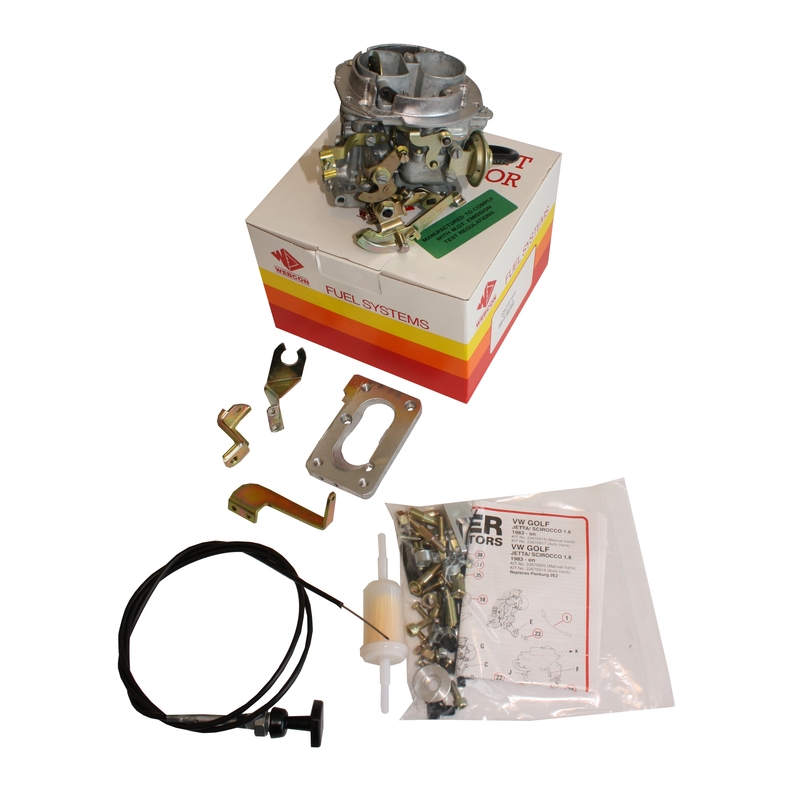 Part number: 22670.920 Categories: Weber Twin barrel Carburettors, DMTL Carburettors. 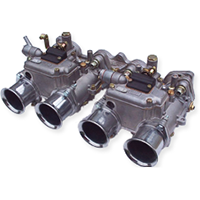 Tags: 2e2, carburettor, DMTL, Golf, Jetta, kit, Manual, Passat, Pierburg, replacement, Scirocco, Spain, transmission, Volkswagen, VW, Weber. Complete replacement carburettorkit for a Golf / Jetta / Passat/ Scirocco 1781cc engine as fitted to1983 – 1991 manual transmission models which had a Pierburg 2E2 as original equipment. Genuine 32/34 DMTL carburettor already jetted. Cable choke, mounting bracket and screws. Adpator base plate and gaskets and fixings.